Assembly Instruction Labels • Enterprise Label, Inc.
We have developed comprehensive label solutions to meet all of your assembly instruction label needs! Without assembly instructions, your retail product is virtually useless to your customer. That’s why our precise printing technology ensures that your assembly instructions are printed clearly and thoroughly onto your product or packaging. 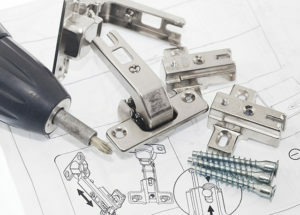 Let our experienced professionals manufacture the perfect assembly instructions for your retail product! Our state-of-the-art printing technologies are capable of four color processing and we can print up to 6 Spot Colors for your assembly instruction labels. With consecutive barcoding, silk screening, and thermal transfer as well as direct thermal technologies, we can ensure that your labels will print cleanly and smoothly. Our plethora of printing technologies means we are also capable of printing grand format decals, banners, and signs for larger assembly instructions! We invite you to contact us today for your free consultation and estimate!